Home / Environment • Migration • News • Prisons • Slider / What does the Heathrow runway plan mean for future of detention centres? 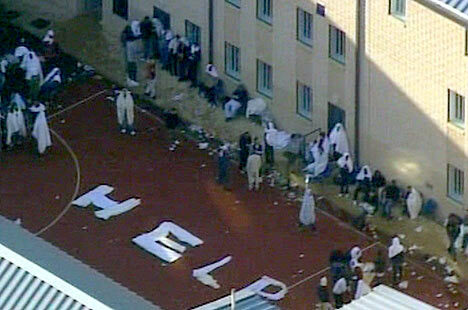 The Department of Transport (DFT) policy statement on the plans includes a section on the detention centres. It explains that “continuous service provision of the IRCs at Heathrow is necessary”, and so “replacement facilities in substitution for the affected IRCs should be provided prior to any works”. In short: they would build new replacement centres, which would have to be ready before the old ones are shut. The final consultation document on the plan, published in January 2018, says that the replacement prison(s) will be built on one site. It identifies a shortlist of four possible sites, two further north and two further south, but all still close by the airport. (See here, page 95 for full details.) Notably, all the four sites are on greenbelt land, which will mean special planning permission is required. The third runway scheme is intended to be in place by 2026. Which would mean work on new detention facilities would have to start quickly to be in place before demolition. However, the third runway scheme isn’t settled yet. Legal challenges are now underway, with a High Court judicial review hearing expected to begin in March 2019. There is still a chance the plan could be reversed, and it seems unlikely the Home Office will move on new detention plans until it’s certain. In May 2018, McDonnell’s colleague Diane Abbot (shadow home secretary) announced that Labour would close Yarl’s Wood and Brook House, the two detention centres which have been worst hit by recent scandals. But she said nothing about the Heathrow centres. If the runway does go ahead, it will be disastrous for the people of Harmondsworth village, and indeed for all of us on our overheating planet. But could it at least cause some problems for the detention system? On the other hand, even if current legal challenges fail, the huge opposition to the expansion scheme is not likely to just disappear. Could environmental and migration campaigners come together around the future of Harmondsworth, and make this a fight not just against the runway but also against the vicious prisons that sit in its path? ** Detention Forum have raised the issue on twitter, we haven’t seen further discussion yet amongst migration campaigners.